Kristina has spent almost a decade working with marginalised communities facing stress and trauma in New Zealand and around the world. After she experienced Mindfulness, Yoga and The Work of Byron Katie as profoundly effective in overcoming challenges in her own life and the lives of others, she founded The Kindness Institute in 2016, a not-for-profit organisation hellbent on creating a world where everyone has the tools to manage stress and live meaningful lives. Kristina is the founder of NPH New Zealand, which supports almost 4,000 orphaned and abandoned children in Latin America. She lived at the NPH orphanage in the Dominican Republic for two years in management, education and development. Kristina is also the co-founder of FAT YOGA NZ which is a body positive community, fighting to change negative perceptions of the body. She was nominated for Young New Zealander of the Year 2018 and received a Local Hero Award in 2014. Kristina tailors her talks to the needs of the audience . Her inspirational talks support people to explore mindful leadership, mental health, stress management, vulnerability, perfectionism & people pleasing, volunteerism, social impact, feminism and their connection in order to thrive. 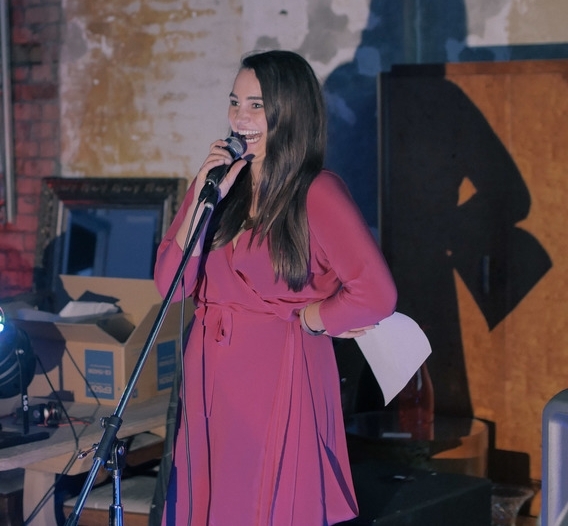 Kristina also talks about her personal experience with anxiety, the projects she’s worked on in New Zealand and around the world and how she uses her skills to support those whose voices aren’t being heard. Her presentations are honest, fun & inspiring and often include Mindfulness meditations for the audience.